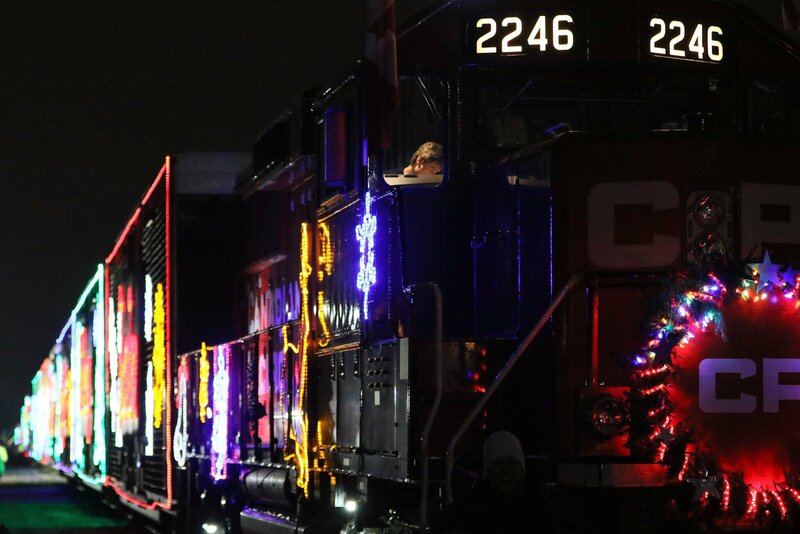 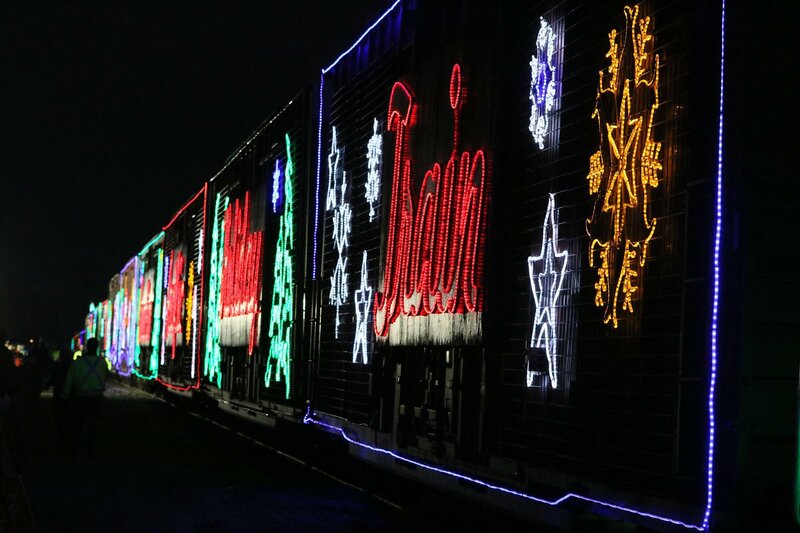 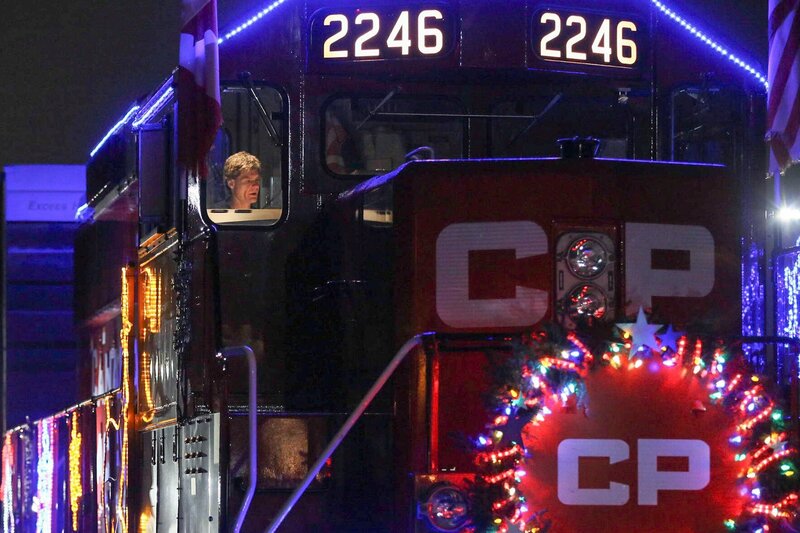 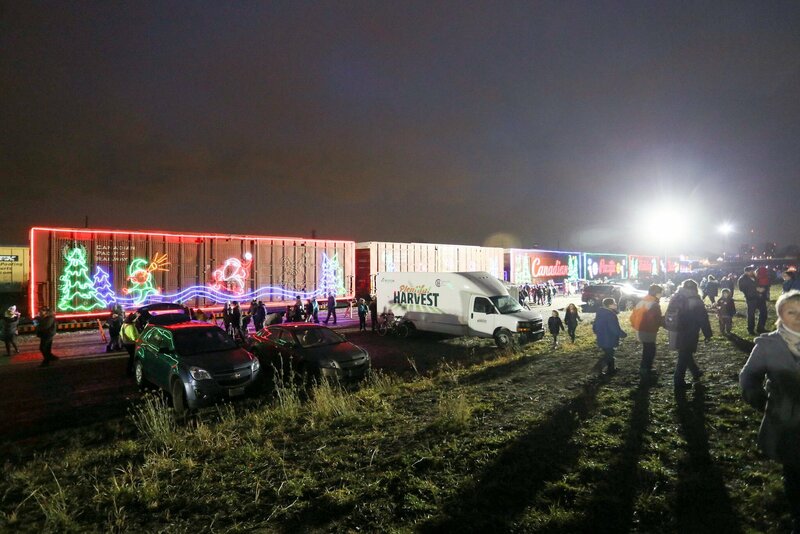 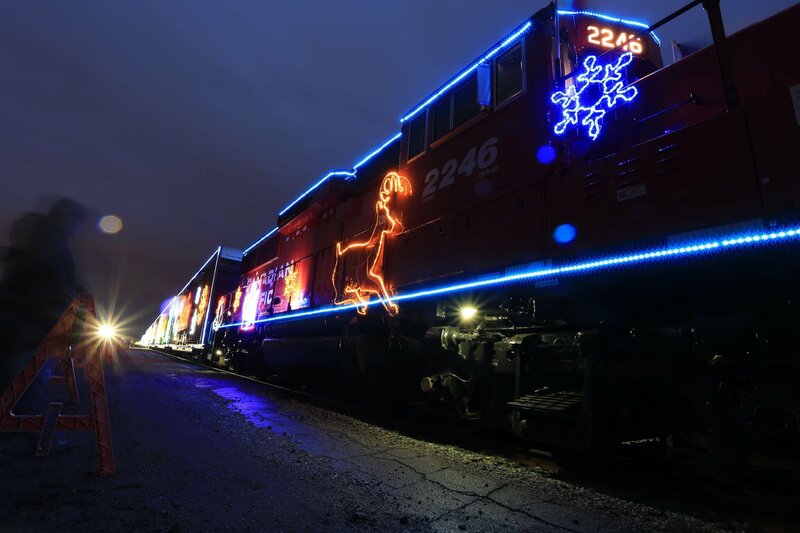 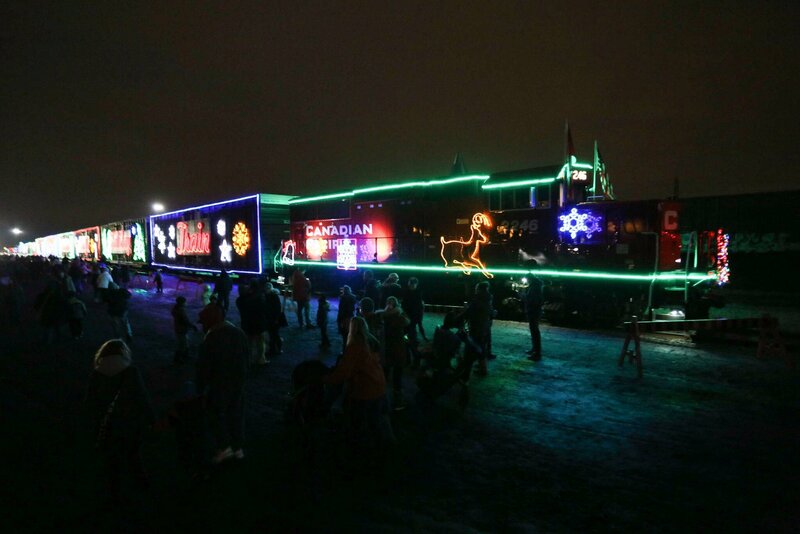 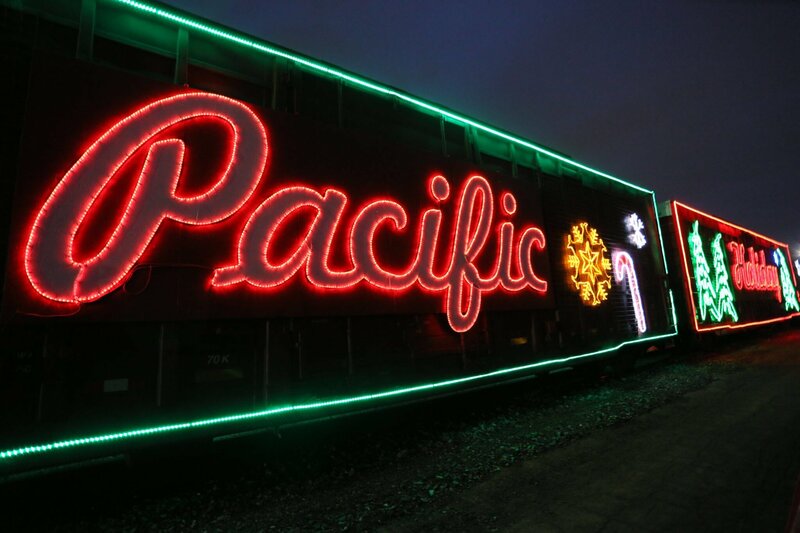 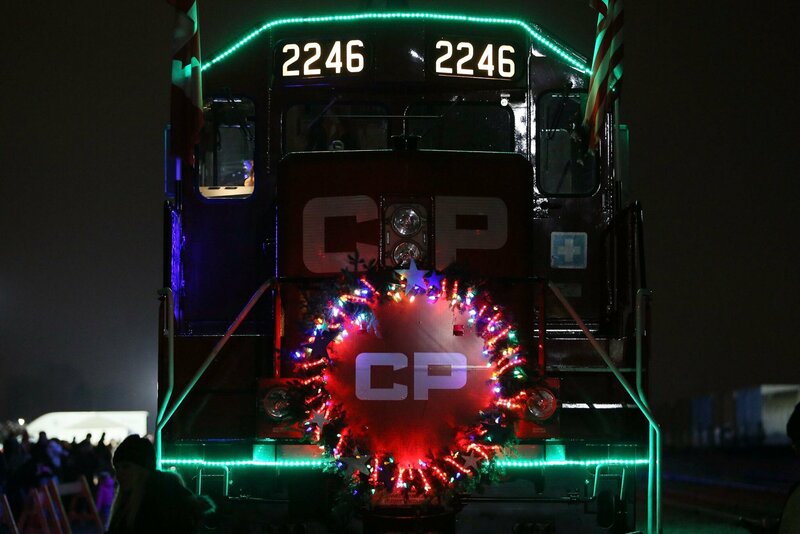 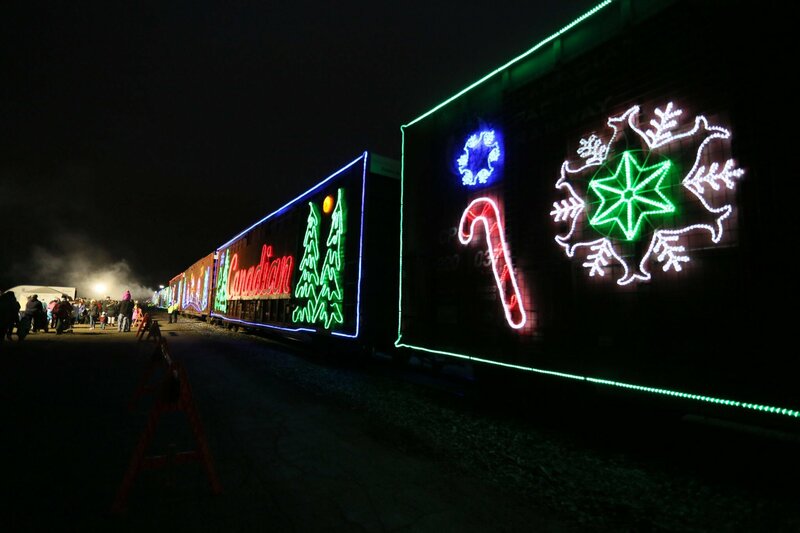 The Canadian Pacific Railway’s Holiday Train visited Windsor’s CP rail yard on Wednesday night. 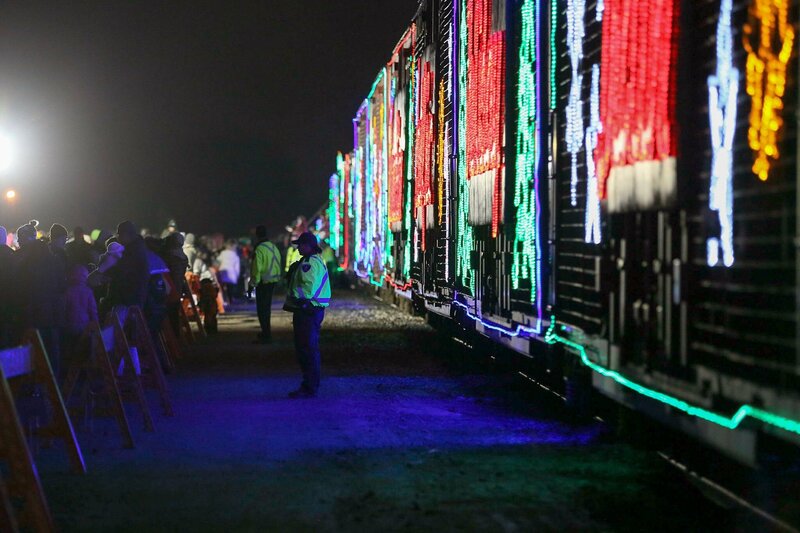 Hundreds of children, parents and family members gathered to hear live musical performances, drink hot cocoa, deposit food bank donations and check out the 14 brightly decorated railcars in various festive themes. 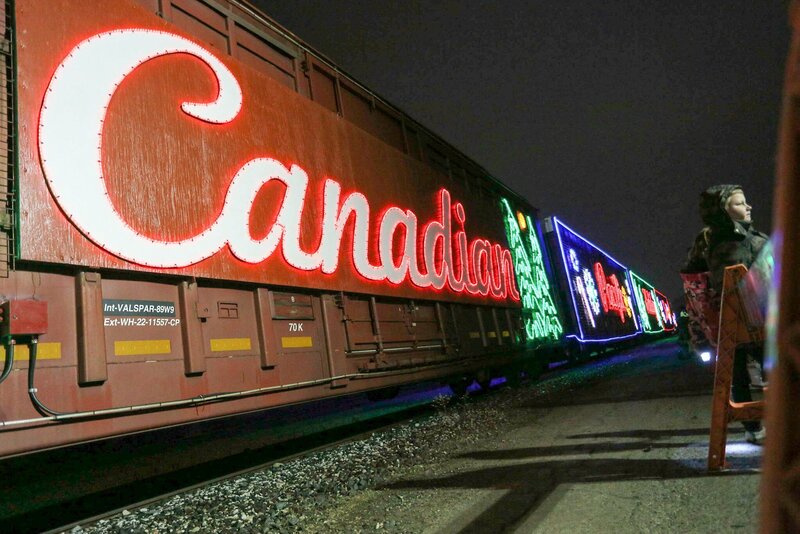 The CP Holiday Train has been traveling to communities across Canada and the US for sixteen years, collects donations for food banks in local communities, and helps to raise awareness in the fight against hunger. 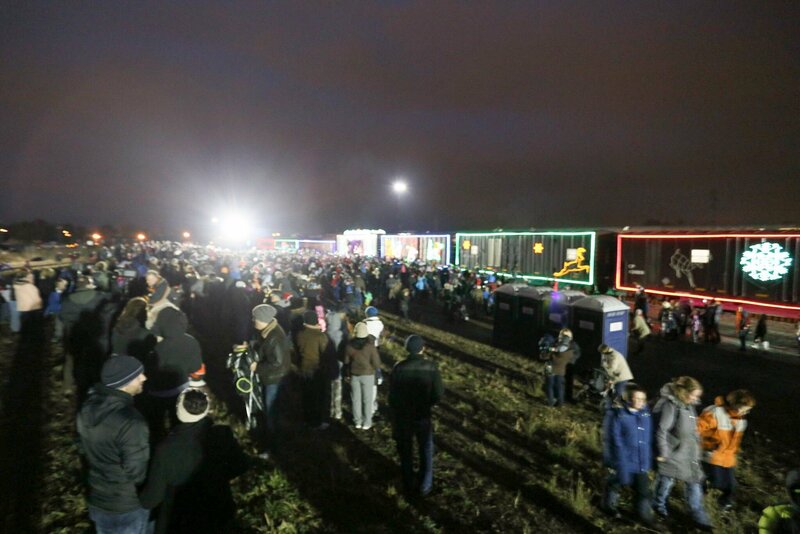 Hundreds of families gathered for the concert. 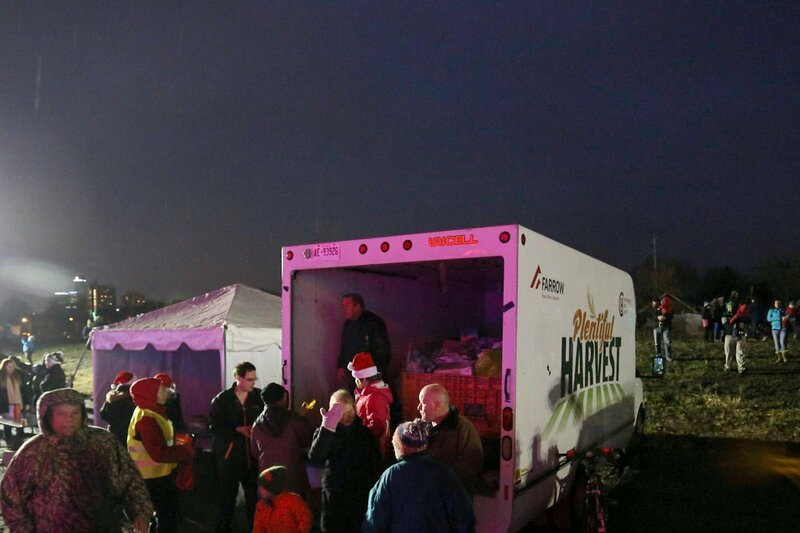 Plentiful Harvest collected food for local food banks.